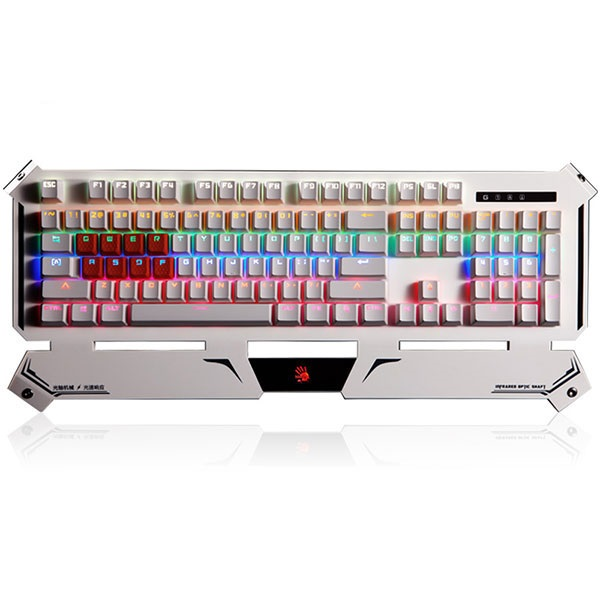 Bloody Light Strike Mechanical Switches Fastest Response Mechanical Gaming Keyboard, During game play, the most important thing for a gamer is response speed! LightStrike Mechanical gaming keyboard delivers a fast response of 0.2MS, faster than all the other competitions, this may take some time to get used to, Gaming to fast sometime you need to catch up with the Gaming Gear. Avoid in Game delays A,S,D,W Silicon keys - convex and silicon material for greater control during your gaming events or just casually gaming. 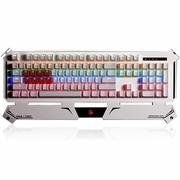 Special lighting Neon Glare System LED Backlighting, Gaming Keyboard LED lighting provides an easier way to locate the keys in the dark, or dim lit rooms. Spill Proof Design Allows you to safely play and forget about the accidental spills during the heat of gaming. Easy to clean up, and easy to main, with B740A Spill proof design.